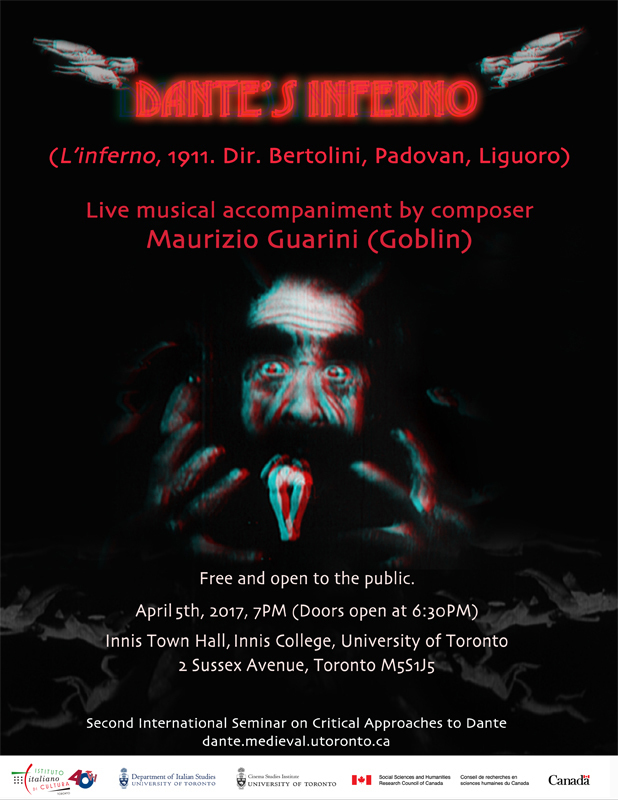 This past Wed. April 5th had Goblin member Maurizio Guarini performing his original score to Italy’s first feature film, Dante’s Inferno / L’Inferno (1911), based on Dante’s famous narrative poem in which the author’s same-named hero and the poet Virgil trek through Hell, Purgatory, and Heaven. 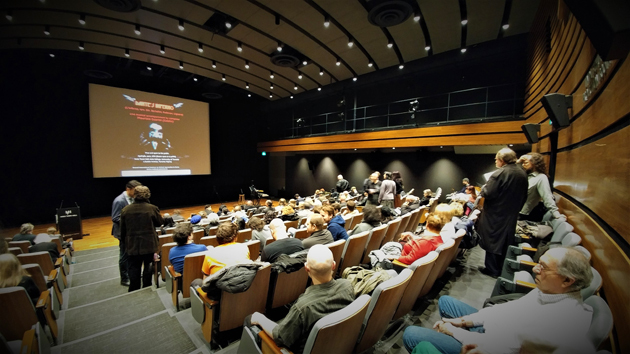 The screening was part of the International Seminar on Critical Approaches to Dante, as coordinated primarily between the University of Toronto and the Italian Institute of Culture. Inferno was restored around 2007, and the 70 min. version featured tinted scenes and all surviving footage culled from various international sources. I’ve added a review of the classic silent film which, in its latest restored incarnation, is only available via a Region 2 Italian PAL DVD. 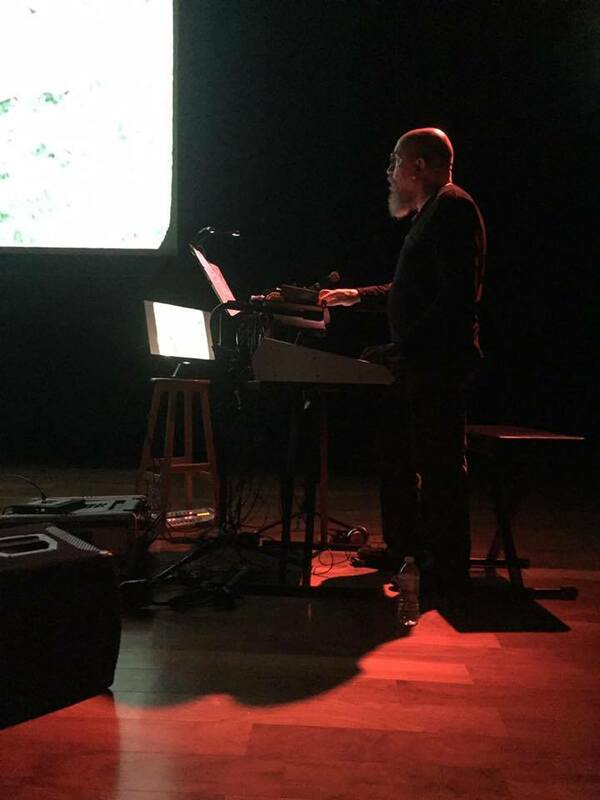 Guarini’s score isn’t currently available on CD or DVD, but in our compact discussion available on iTunes, Google Play, Libsyn, and YouTube, he touches upon the possible release of his music, and reflects on such a unique project that features a mash-up of classical, prog-rock, industrial, and experimental elements. Also available is my 2015 podcast interview with fellow Goblin Claudio Simonetti, and two podcast interviews with Guarini’s longtime friend and colleague, Fulci composer Fabio Frizzi, one from 2013 and a follow-up discussion from 2015. Special thanks to Maurizio Guarini for his generous time, his wife Cinzia, and David at Daniloff Productions for providing the opportunity to speak with a musical treasure who’s happily made Ontario, Canada, his home base. 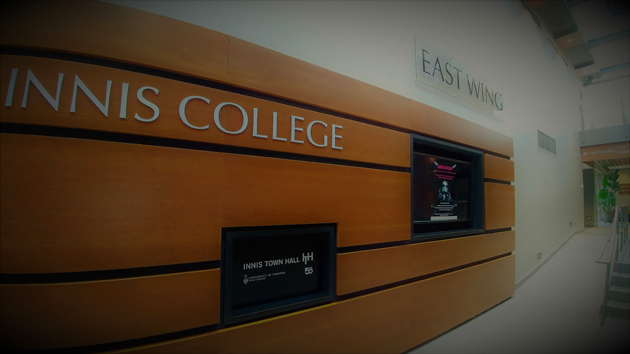 Innis College (entrance). Photo courtesy of Daniloff Productions. Innis Town Hall, pre-show. Photo courtesy of Daniloff Productions. Maurizio Guarini performs his score for Italy’s first feature film, Dante’s Inferno / L’Inferno (1911), live. Photo courstey of The International Seminar on Critical Approaches to Dante. 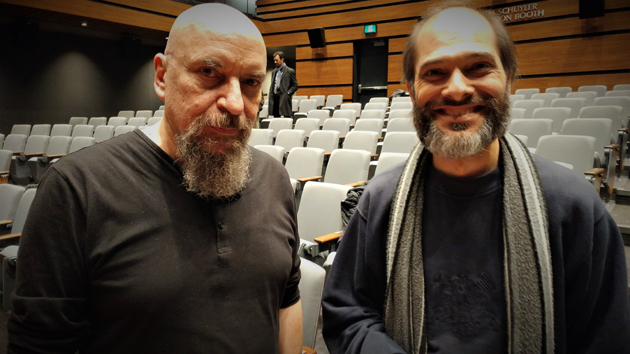 Maurizio Guarini and yours truly, post-show. Photo courtesy of Daniloff Productions.